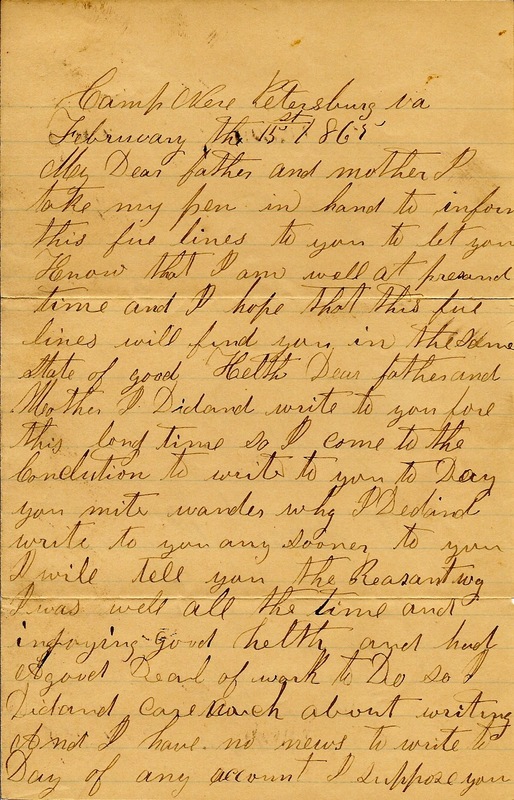 With the fall of Richmond, Virginia and the surrender of General Robert E. Lee only 2 months away, John takes time to pen a short note to his parents regarding his health and well being. 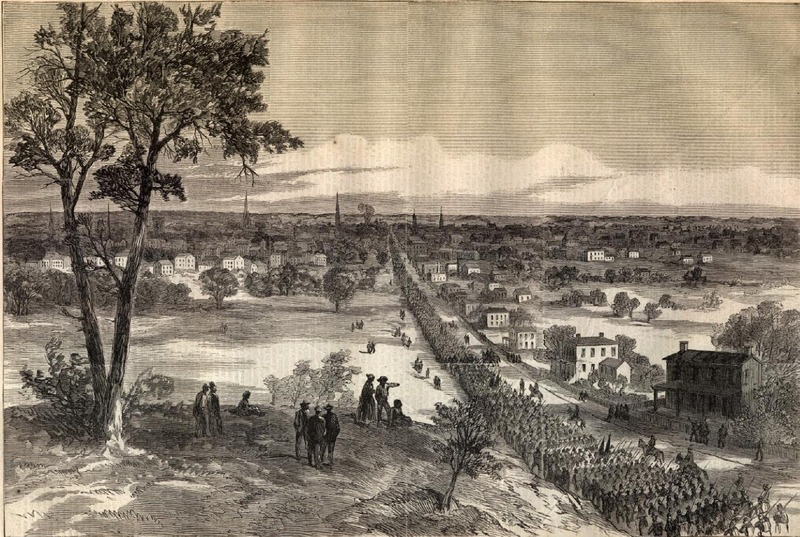 December and January had been slow months for the Union army at the siege of Petersburg, Virginia. But while the fighting soldier's work was relatively slow, the teamster soldier's work was never ending. Moving supplies of food, ammunition and other quartermaster provisions for an in-place army, while easier to coordinate than a moving army, still had it's own set of challenges. John has been busy these past few months teaming mules and wagons in order to keep the well feed Union army as happy as possible...given the circumstances. I see in these latter letters that John probably senses that the war is nearly at an end. With desertions rising on the Confederate side and talks of "peace commissioners" meeting with the Union government....nobody wanted to be the last man on roster of the honored dead. 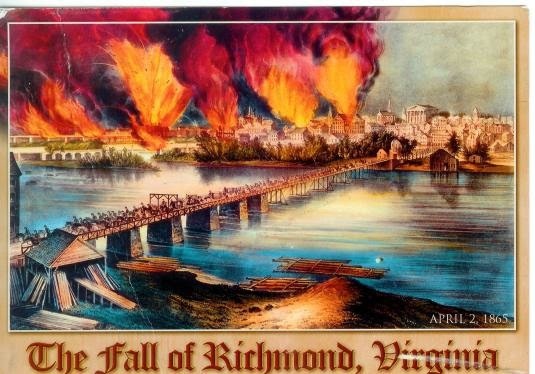 On April 2, 1865 Petersburg and Richmond would fall. Appomattox was only a week later on April 9, 1865. 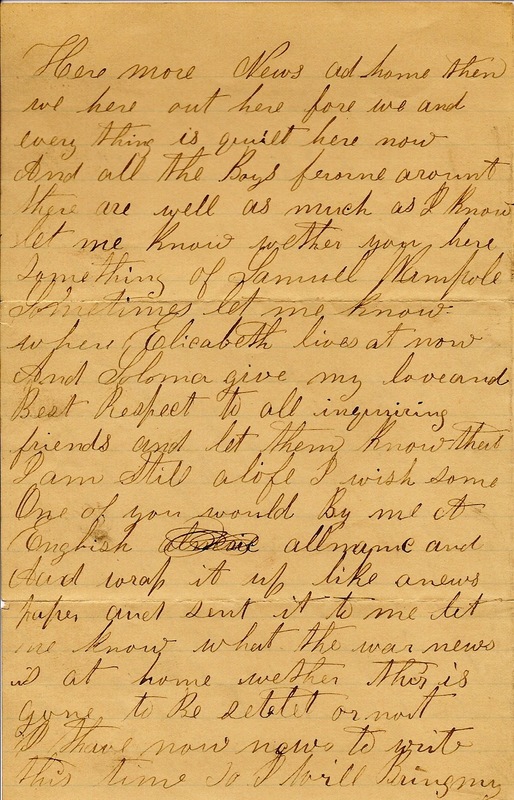 In letter #44, John tells his parents that he is well and to tell his friends and family the same. He inquires about his younger sisters Elizabeth and Soloma. Elizabeth is 24 years old and married and John would like to know where her and her husband Jacob Dimler now live. Soloma is 21 years old and has left the homestead. I have little information about the life of Soloma (Solome in some of my genealogical records). John also inquires about Samuel Wampole...a friend. I know nothing further about Mr. Wampole. 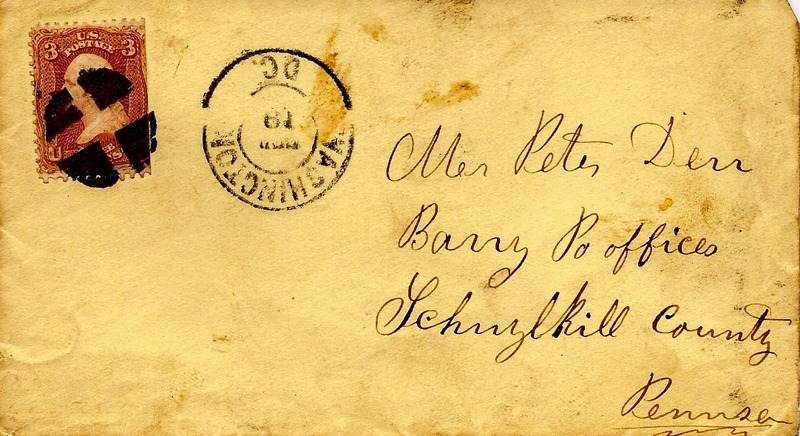 One other interesting bit of information...John, being Pennsylvania German, spoke and wrote German as commonly as English. Most of the books he had were in German, such as his hymnal and bible. In this letter, he asks that his parents send along to him an "English Almanac". He needed to specify the English aspect of the book, lest his parents send him a German version. More than likely, it allowed him to share information with other non-German heritage comrades. Lastly, John's suspicion about the end of the war is confirmed with him asking his parents about the the current news. Ironically most of the soldiers did not have access to the news of the war they were fighting and had to rely on family and friends back home to communicate status. The letter ends abruptly. It doesn't appear that there is another page to this letter, but he stops the letter in mid-sentence. I'm not sure what happened here, but more than likely it is lost in time.